Taking a portrait, of course, is not an abuse on the same scale as taking land. But it is still taking. And just because Bruce Gilden’s in-your-face ambush approach works on bustling city streets doesn’t mean it flies elsewhere. Gilden speaks persuasively about his interactions with folk and stands behind — professionally and literally — his hard-flash and the caricature portraits that result. In some ways, I admire Gilden’s repeated defense of his controversial approach and his repeated willingness to field questions, but still I am not convinced and I don’t think I ever will be. Here’s why. People in different regions and of different histories have very different relationships to the camera and respond accordingly. Gilden’s one-size-fits-all approach doesn’t fit in Appalachia. Bruce Gilden. Harlan, Kentucky, Saturday, June 6th. Destiny, Amber, and Serenity at the Harlan County Poke Sallet Festival. The 2015 Vice Photo Issue is, according to Vice photo editor Matthew Leifheit, “a testament to the enduring power of photography to understand the stories of our lives.” If only. Leifheit goes on to explain that his department teamed up with Magnum Photos by “sending out young photographers out on assignment together with Magnum members, other times emerging artists were influenced by the history of great photographers who have contributed to Magnum’s legacy. Although the approaches to documentation are diverse, we believe both established and emerging photographers benefit from sharing pages.” They also partnered with Magnum’s non-profit arm, Magnum Foundation, to share the work of their regional grantees. 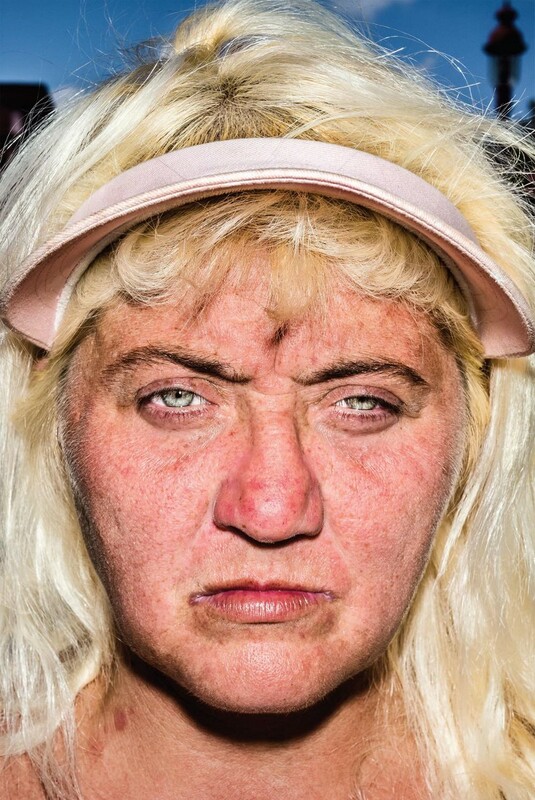 Screengrab, of Stacy Kranitz’ work, from the online presentation of the 2015 Vice Photo Issue. By pairing Gilden (aggressive, abrasive, and loud-mouthed shooting style) with Kranitz (drug and alcohol-fueled Appalachia-is-one-big-off-camera-flash-shirtless-party style), Vice knew it was ordering fireworks, or cheap controversy, or both. Neither portfolio shows me anything new. 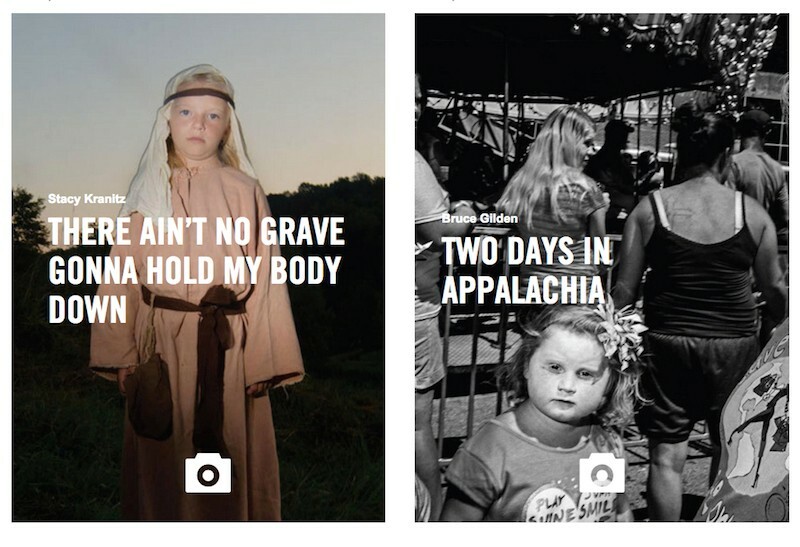 Both reinforce the idea that Appalachia is somehow an exotic location for photographers to drop in and use people as props. They aren’t connected to any other purpose than being self-serving. In other words, they draw attention to the photographer more than the people and communities being photographed. Bruce Gilden. Saturday, June 6. Tammy at the Harlan County Poke Sallet Festival. Gilden, here, substitutes Appalachians in to replace the nameless folks in his last set of portraits. Kranitz’s portfolio was made up, partly, of old images from existing series we’ve seen before. Gilden’s an old dog and you can’t teach an old dog new tricks. Kranitz on the other hand is wrestling non-stop with her image-making, her presence, and the history of representation in Appalachia. Without wanting to sound patronizing, I think Kranitz is self-taught in new tricks — the more she learns the more she realizes she doesn’t know. She’s light years ahead of others, but as well as running rings around the pack she also makes wrong turns. Her Vice offering here is confused. Kranitz declined to speak with me for this article about this Vice assignment. She believes my decision to not invite her to serve on the board of Looking At Appalachia, an organization I founded, was an attempt to silence her voice. Since then, she has characterized me as running a “tyrannical crusade as gatekeeper of who can and cannot make work in the [Appalachia] region.” I disagree with her assessment of my work with Looking At Appalachia. I disagree that I’ve silenced her voice. I did not ask her to join Looking At Appalachia in an official capacity for reasons that I don’t care to make public. 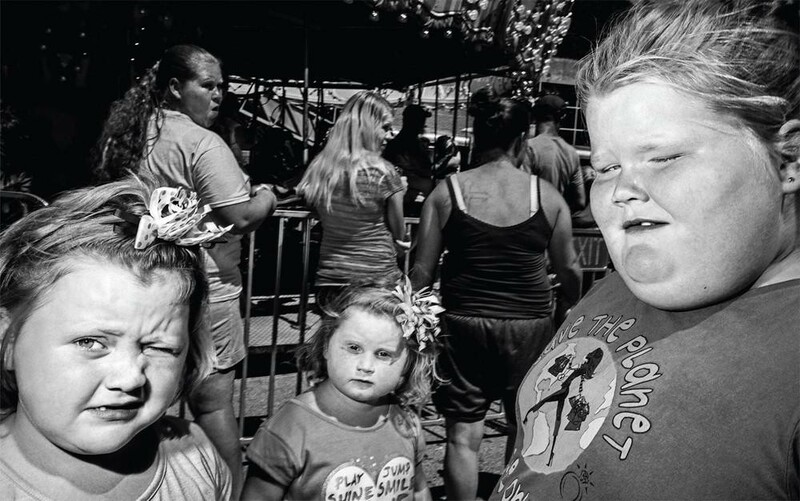 Screengrab, of Bruce Gilden’s work, from the online presentation of the 2015 Vice Photo Issue. Roger May is a photographer from the Tug River Valley on the West Virginia/Kentucky border. He is the author of Testify: A Visual Love Letter to Appalachia and directs the crowd sourced project, Looking At Appalachia. He blogs at Walk Your Camera. Follow Roger on Twitter, Tumblr, Instagram and Facebook. Follow Looking At Appalachia on Twitter, Tumblr, Instagram and Facebook. My heart is Appalachia. Kentucky born + West Virginia raised = dual citizenship. Director of http://www.lookingatappalachia.org . Montani Semper Liberi.